In this 7.5 hour audio series, I share candidly about many of the hilarious, eye-opening, challenging, and awe-inspiring moments of my 18 month journey traveling the world after unexpectedly selling my home and possessions. 4 – From Channeling Intuition to Channeling… Joe? A Lively Adventure is available in two formats: a downloadable audio series and a written transcript. You can purchase the audio series and transcript together for $12.97. HOW DO I DOWNLOAD A LIVELY ADVENTURE? A Lively Adventure is available in audio files are provided in a “zipped” format. The file is over 500mb, so depending on your internet speed, it could take 30 seconds to several minutes to download. A Lively Adventure includes 10 episodes and clocks in at 7.5 total hours of audio content. HOW SOON WILL I HAVE ACCESS TO A LIVELY ADVENTURE? After you purchase, you’ll have instant access to the entire 7.5 hours of content. You can download it right from the purchase page or from the email we send you. When you purchase the audio series and transcript together, you’ll get access to the audio series right away and we’ll send you the transcript when it’s ready in late October. 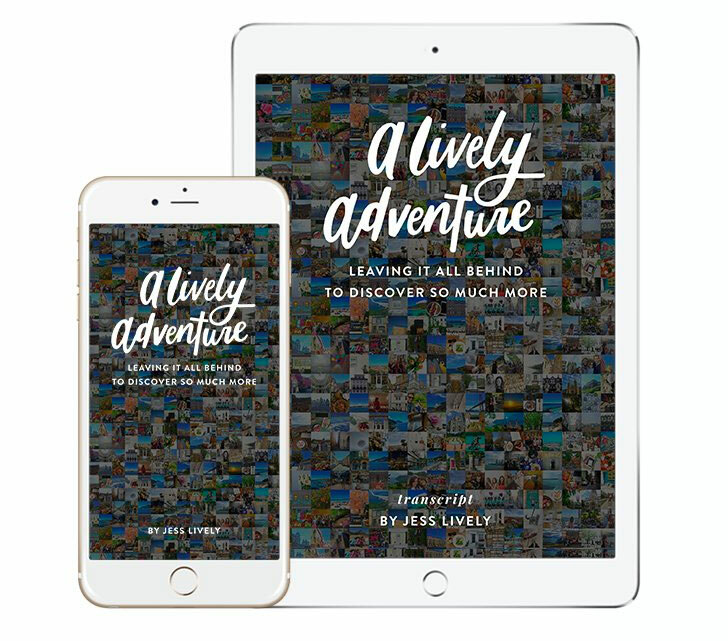 While I’ve shared bits of my travels on the podcast, this audio series is a collection of brand new, candid conversations with my friend and videographer, Megan Bowers.